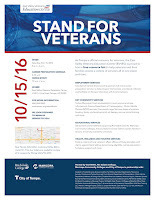 Rio Salado College is hosting Stand for Veterans-- a free resource fair for veterans on Saturday, Oct. 15, 2016, where veterans and their family members can access educational, employment and community services. 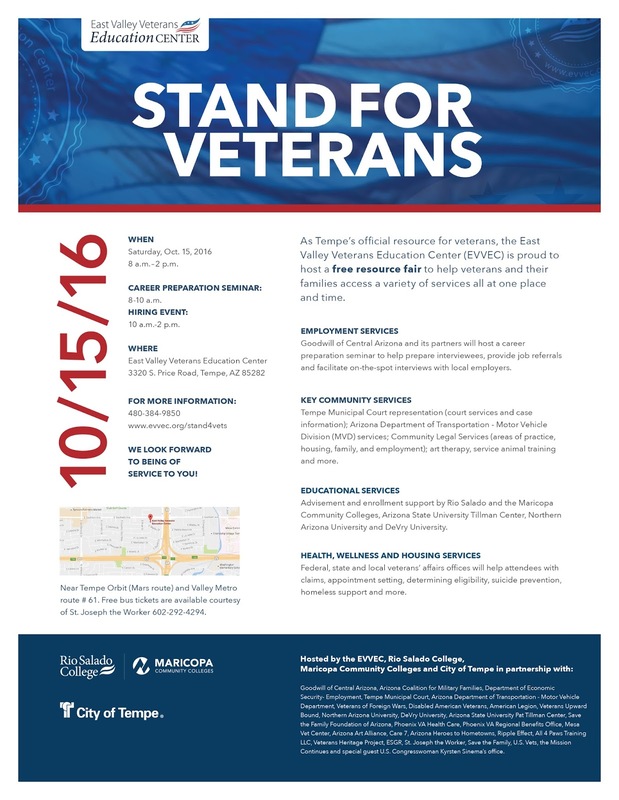 The resource fair takes place from 8 a.m. to 2 p.m. at the East Valley Veterans Education Center (EVVEC), 3320 S. Price Road, Tempe. 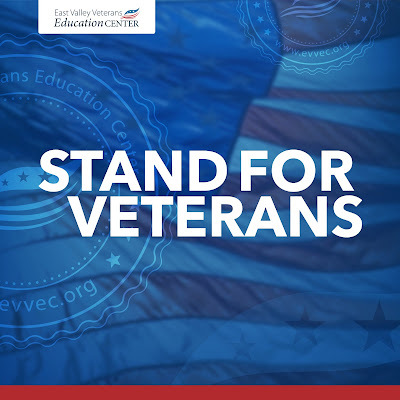 “The Maricopa Community Colleges are proud to support those who have served our country by providing the resources they need to obtain a college education and further their career goals,” said Maria Harper-Marinick, Chancellor of the Maricopa County Community College District. The fair will connect veterans to a variety of services designed to help them transition from military service to civilian life. Representatives from several community partners will be on hand, including Goodwill of Central Arizona, the Arizona Motor Vehicle Department, Tempe Municipal Court and more. ● Career preparation seminar 8-10 a.m.
● Hiring event 10 a.m. – 2 p.m. The EVVEC is hosted by Rio Salado College in partnership with the Maricopa Community Colleges.